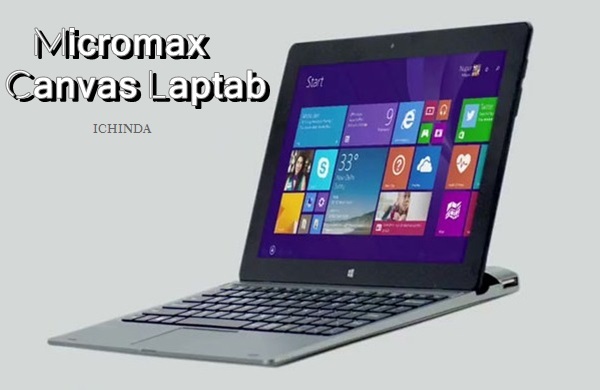 To please the tablet and laptop lovers, Micromax India has launched 2-in-1 gadget, Micromax Canvas Laptab on 30th April, Thursday priced at Rs 14,999. Micromax Canvas Laptab will be available in Indian market from 5th May exclusively through Amazon only in Black colour option. The all new Micromax Canvas Laptab supports Wi-Fi, Bluetooth 4.0, USB and 3G comes with a 10.1-inch WXGA IPS display with resolution (1280×800 pixels) runs on Windows 8.1 OS (upgradable to Windows 10 OS) perfect for watching movies, playing games and reading e-books. To give superior multitasking experience Micromax Canvas Laptab is powered by a quad-core Intel Atom Z3735F processor (up to 1.83GHz in Burst mode) clocked at 1.33GHz with 2GB RAM, 32GB Internal memory including a MicroSD card slot and Microsoft’s OneDrive 1TB of cloud storage. Micromax Canvas Laptab offers you a 2-MP rear camera and 2-MP front camera for video calling and shooting packed with a powerful 7700mAh battery with up to 10 hours battery life measures 210.8×124.2×9.95mm and weight is just 1.1kg. At last few honest word to say that Micromax Canvas Laptab is the revolution is gadget market. What you think? Please be open to give your view.